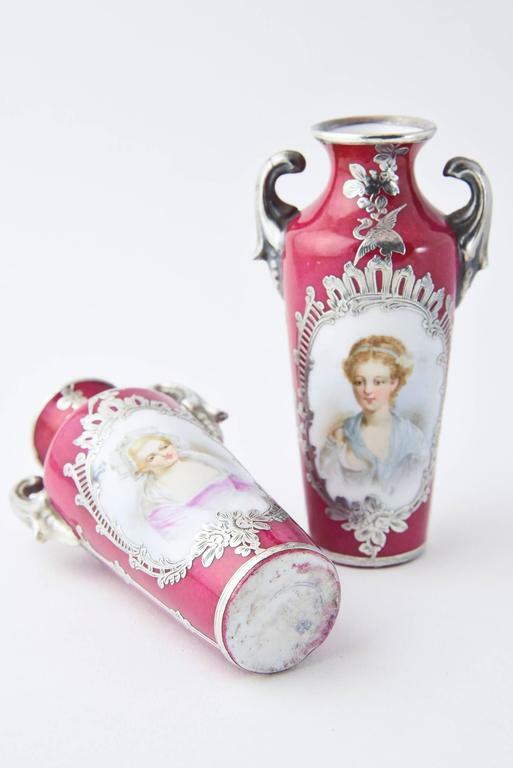 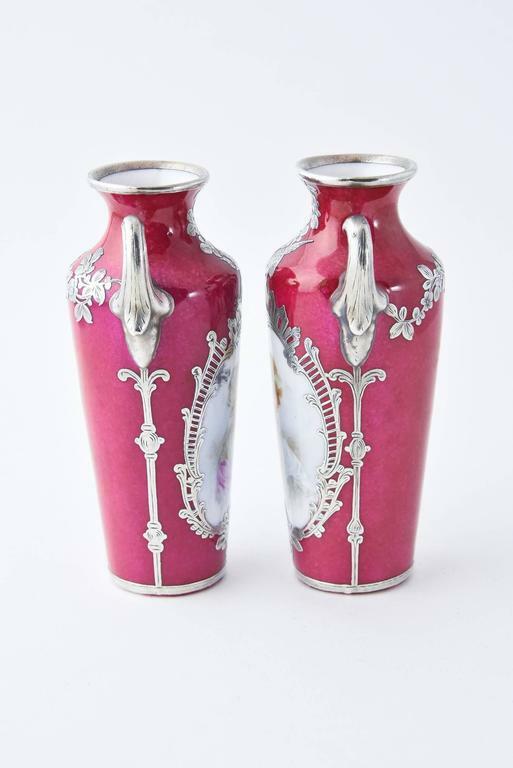 Pair of tiny beautiful porcelain vases / urns each featuring a hand painted portrait in an ornate sterling silver overlay frame with floral and bird accents. 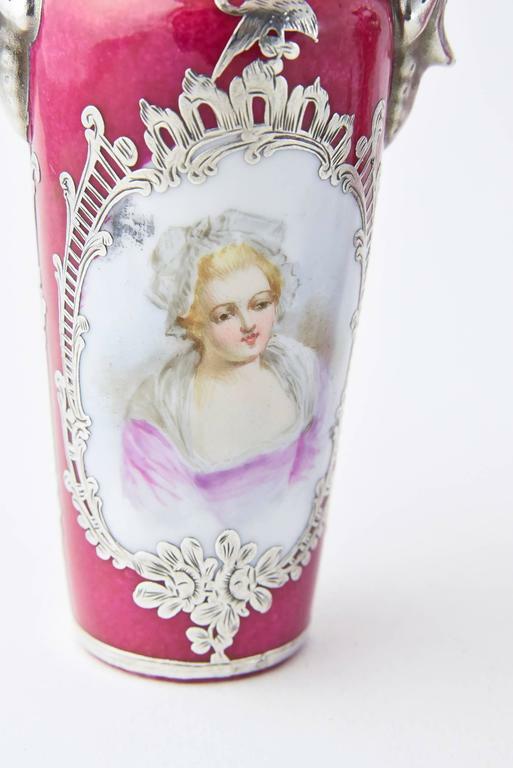 Slight discoloration where the pink is worn off. 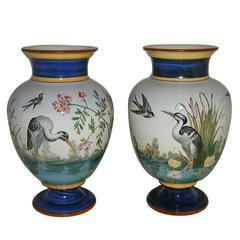 Pair of porcelain vases with painted decoration of landscapes with birds, Italian, 1920s. 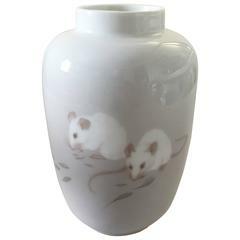 Royal Copenhagen Art Nouveau unique vase with mice by Frederik August Hallin from April 1894. 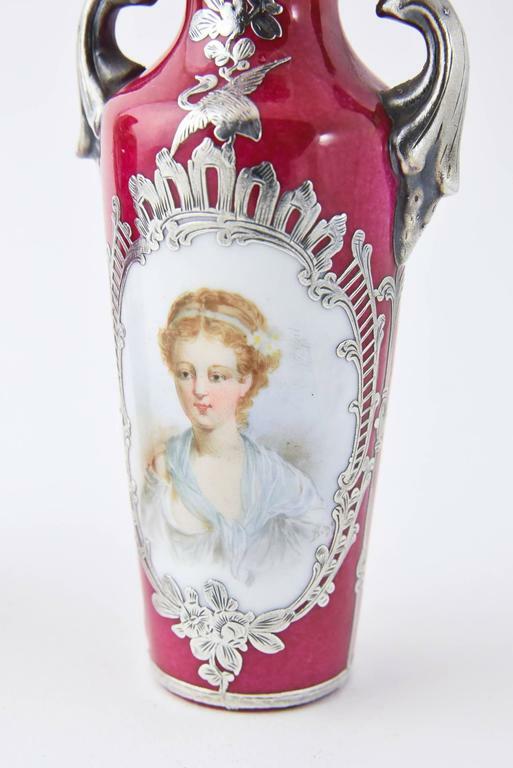 Measures: 17 cm high (6 11/16"). 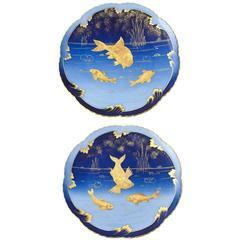 Opening measures 6 cm in diameter (2 23/64"). 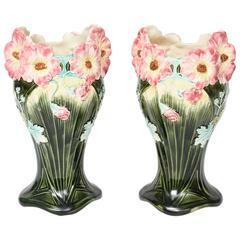 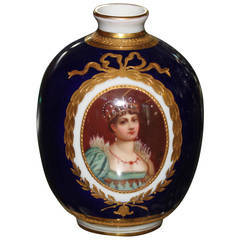 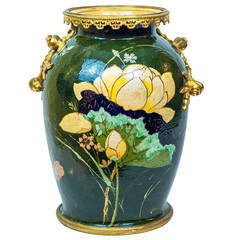 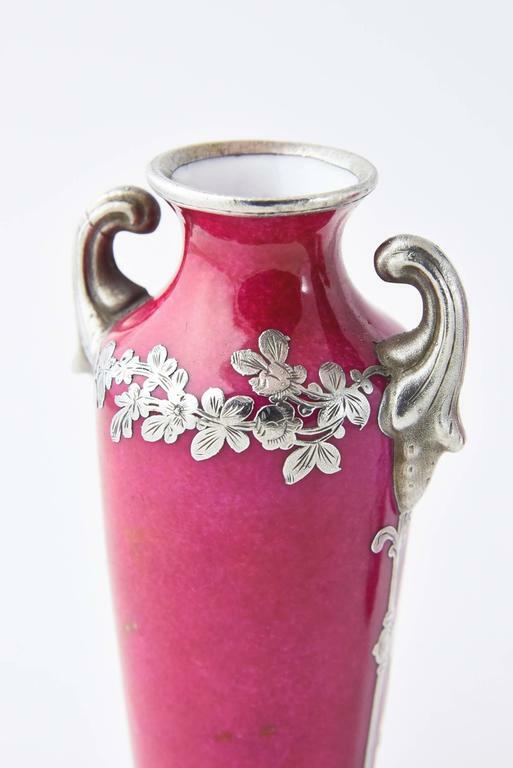 An unusual French porcelain and bronze aesthetic vase with floral decorations. 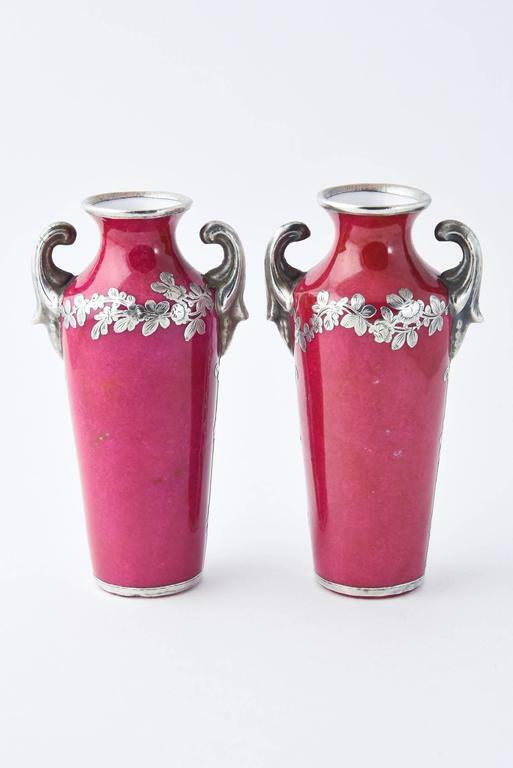 Stock number: DA23.